For centuries, philosophers have applied themselves to the “big questions” of existence, exploring the fundamental problems and concerns of human life. In the 21st century these questions have not changed, but have grown in complexity with the modern world. Join Rice’s Department of Philosophy this fall for a series of lectures illuminating the history of the discipline as well as exciting research being done today. “Most people know Western philosophy starts with Socrates, but few know the variety of subfields of 21st century philosophy which include bioethics, neuroscience and consciousness, and quantum physics. Even fewer know the path that led from the ancient Greek paradox of the liar through the most esoteric parts of philosophy of mathematics to the digital world we now inhabit,” says Richard Grandy, Ph.D., McManis Professor of Philosophy and Cognitive Sciences, who will offer the opening lecture of the course. Even the way we think about disease, health and happiness is influenced by philosophy. “Very few philosophers agree about what philosophy really is, but I can at least say this: in philosophy, we think very carefully about just about everything, and try to figure it all out,” says Gwen Bradford, Ph.D., assistant professor of philosophy. “Nothing is off-limits for investigation, including the nature of time, consciousness, perception, happiness, morality. Just what would it mean to have a good life? Is this the same as having a happy life?” Dr. Bradford will address happiness and achievements in her closing lecture for the series. 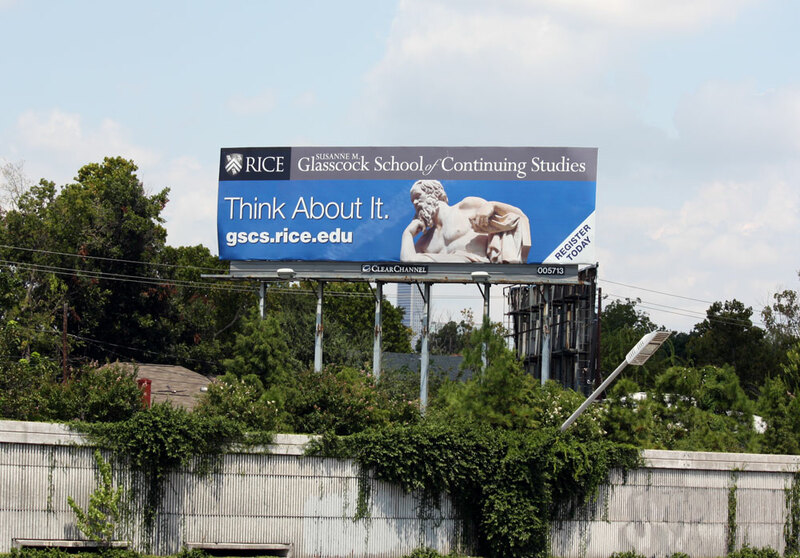 Discover more big questions in the “Spotlight on Rice’s Department of Philosophy,” beginning Tuesday, September 11, 2012. Socrates looms large over Montrose this fall.